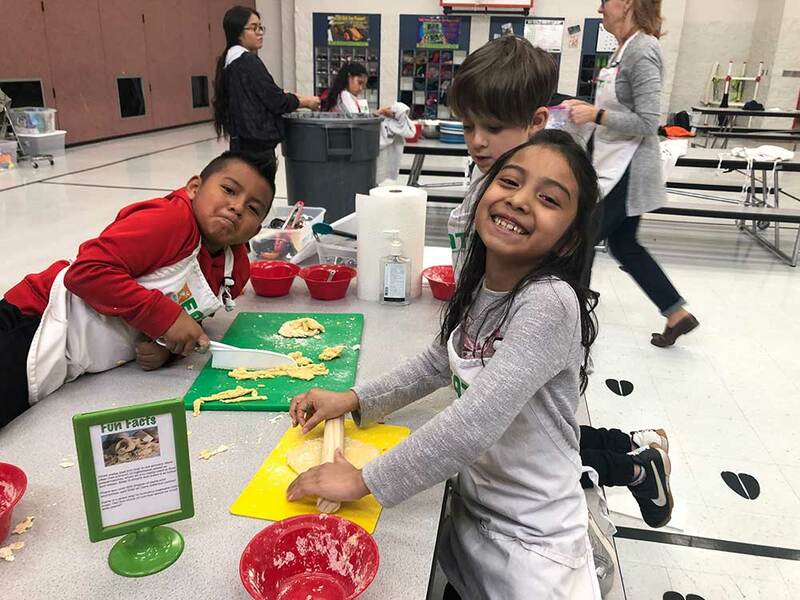 For April’s cooking classes, the elementary schools got the chance to make noodles from scratch! Not only were these quick noodles a hit with the kids, there were also entirely hands-on. With only four ingredients, this homemade pasta recipe bypassed the extra ingredients, such as preservatives, that are found in boxed pasta. Flour, eggs, salt, and water are the only ingredients you need to make these yummy noodles. 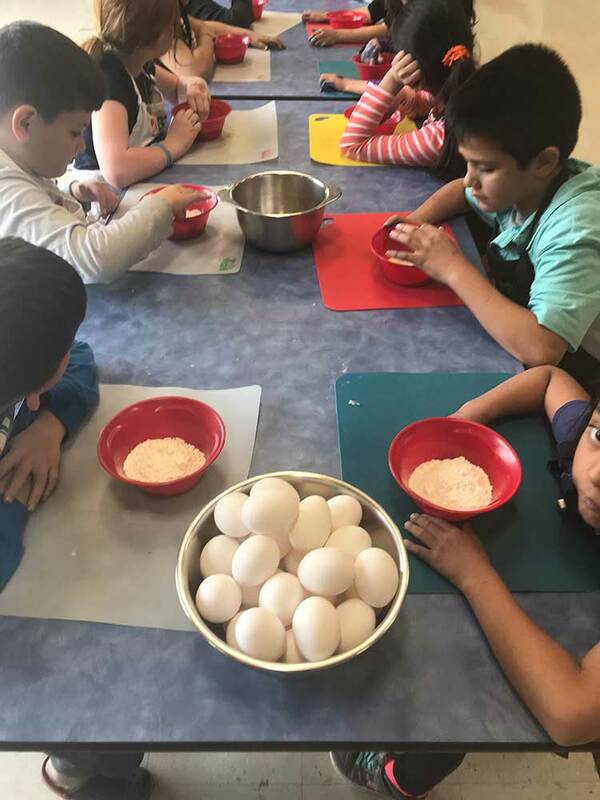 Each kid got to mix their own dough, knead it, roll it, and cut it into fun shapes. 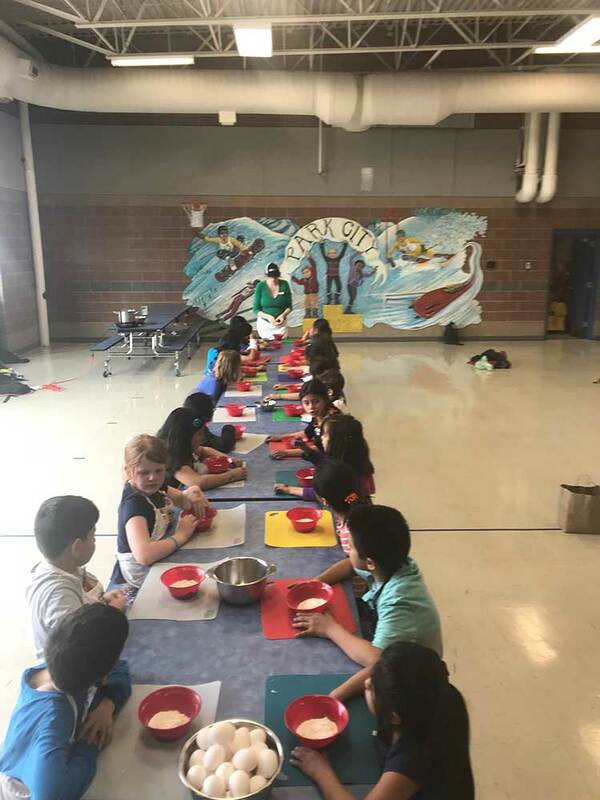 When mixing the dough, the kids learned that if the dough is too dry, they needed to add some water and if it was too wet, they needed to add more flour. These adjustments made it easier to work with the dough and produce an ideal pasta. While the noodles cooked, the kids brainstormed different types of vegetables they thought would go well with the noodles. Some of the veggies they came up with include tomatoes, onions, and spinach! (Hint: these are what the kids asked for!) For an entirely from scratch meal, combine our Homemade Egg Pasta recipe with the Pomodoro Sauce recipe we made in the fall!